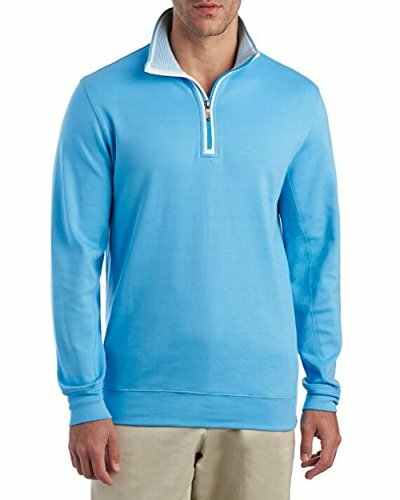 Designed for the ultimate performance and style on the greens, the Leaderboard long sleeve pullover from Bobby Jones is crafted of pure cotton for super softness, panels down the sides and sleeves add textural interest to the look, which features a funnel neck with quarter zip closure and banded hemline and cuffs. If you have any questions about this product by Bobby Jones, contact us by completing and submitting the form below. If you are looking for a specif part number, please include it with your message.